It was short sleeve weather for most people last night, for Bulleen's now annual early season payday against. At least they put some of that to good use by seemingly cutting down some of the tress and bushes at the southern end, possibly having the effect of improving the lighting on that side. 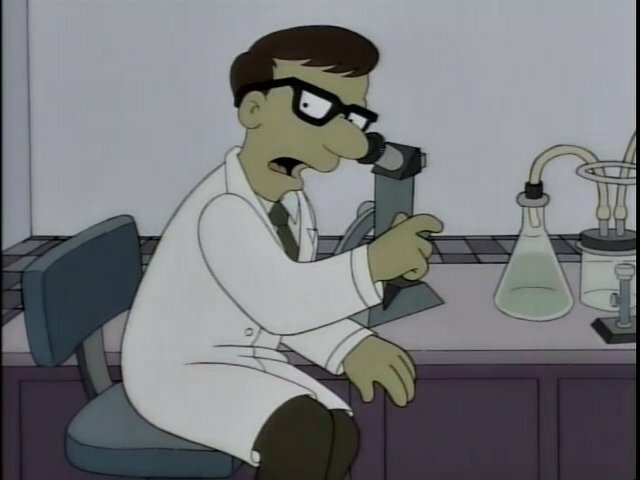 I don't know, I'm no scientician. But they've also installed a new synthetic pitch in place of the old one. While sporadically watching the under 20s curtain raiser, you could tell that this was a much better field than the former offering. The bounce was much truer, albeit probably keeping a little low, but at least it was predictable. So there goes Bulleen's unique home ground advantage, right? Well it certainly seemed so during most of the first half. Players like Braedyn Crowley aside, Bulleen aren't expected to do particularly well this season, and as for us... well, new coach, a few new players, the common sense consensus would be that it would take time to gel. But we looked pretty damn good. Good, but also different. Now I don't think I've seen anything of our senior team since Chris Taylor got the sack - not that I would've been paying enough attention in any case - so I can't say with any certainty what Sasa Kolman's tactical approach would be. And going off the Bulleen game provides only a very small sample size, against what was pretty ordinary opposition. But if this is going to be the new normal, it's going to be a lot of fun. Not that the Taylor era wasn't fun - winning lots of games and titles and cups after not winning crap for years is a hell of a lot fun - but Taylor's "love it or loathe it" pragmatism wasn't for everyone, and it had its own drawbacks, especially when it came to taking risks. Kolman's style is seemingly based around keeping possession, but also moving the ball around the middle of the park with short passes. A key part of that last night was Iqi Jawadi, who apart from his bread and butter breaking up of opposition play, was also in the mood to draw defenders toward himself when in possession, and move with the ball in different directions rather than always play the ball quickly backwards or sideways. know it's warm night. Photo: George Kouroumalis. But it wasn't just Jawadi keeping the ball or taking chances. The fullbacks, especially Matthew Foschini, would often go very high up the pitch. The work rate and teamwork between Foschini and Andy Brennan was working very well from the start; the left hand side, with its unaccustomed paring of Brad Norton and Leigh Minopoulos, is going to need some time to work itself out, though our goal did come from that side. Against a better side, especially one that's better at pressing, this short passing, possession based, risk taking game plan could backfire, but last night it looked promising, not least because Nick Epifano, playing centrally instead of out wide, worked his backside off in midfield. Whether that's because of a gradual improvement in his defensive efforts over the past year, or because he was playing at his old junior club only time will tell. Defensively we looked solid enough, with Kristian Konstantinidis and especially Christos Intzidis impressing as our centre-back pairing, though you fancy that there'll be much toughter assignments for them than Bulleen's forward line. Intzidis' performance in particular won the favour of South fans. The goal we copped had some so much luck going for it, that it's understandable that we lost our way for the last ten minutes of the first half. In this case losing our way meant deviating from the game plan, reverting to hopeless long balls, not looking up, and generally looking dejected as all hell. We recovered in the second half, and once again played Bulleen off the park. We got our equaliser, with a bit of luck of our own - Milos Lujic, on the goal line and in an offside position, attempted to get a foot onto Millar's shot, but fortunately was adjudged to have missed it. It was a stinker of a performance all round for Lujic, who squandered every chance he had, even the ones which would've been disallowed for offside. Here's hoping it was just a bad night and not a sign of things to come for this season. The most disappointing aspect of last night, apart from not picking up all three points, was the serious looking leg injury sustained by Alastair Bray, in a stupid attempt at a challenge by a Bulleen player. Depth is also going to be an issue this year. Kolman made just the two subs last night, and I'm not sure we were in a position to make many more. You can't predict when injuries will happen, but we at least have to get out of the habit of picking up stupid yellow cards. Apart from whatever other cards we picked up, Brennan was lucky to get away with a huge shirt pull in the first half. Apart from Bray's injury, there are kinks to work on and weaknesses to manage. Andy Brennan, as good as he was last night, was gassed out by the 35 minute mark of the first half, and while he recovered in the second half, he couldn't run out the game. Is this a pre-season fitness issue, or something more permanent? Millar's shooting was wayward again. Epifano was in charge of all our set pieces, which is a step sideways as much as anything from what's been on offer the past few years. We didn't get to see enough of Oliver Minatel to say one way or another what his contributions will be like. But as I'm fond of saying, if they were better than what they are actually are, chances are that they wouldn't be playing here. And that goes for every other team in this league as well. 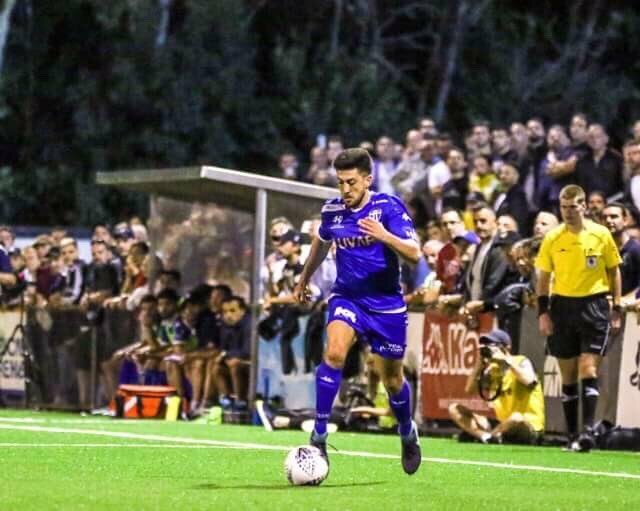 Having written some pieces for South of the Border, I thought it was time to finally write a South Melbourne match day report (my only previous match day report was for Sydney Olympic vs Blacktown in relation to my trip to Sydney). What helped prompt this was the fascinating situation where five of my friends, from my days growing up in microcosmic (in relation to Australia’s demographic breakdown) Blackburn, had developed a rabid interest in local NPL soccer. (Interesting to note that they are all primarily Australian Rule supporters). This stemmed from various sources, such as their knowledge of the old NSL, and South Melbourne’s place in it, and a handful of them having attended some remarkable games in recent years (Heidelberg’s 4-2 come from behind win against Bulleen in 2016, and last year's FFA Cup match against Sydney FC). So, without me having to cajole anyone, there we were at the Veneto Club, having a few beers in the bistro. A mix of married, divorced, but mostly single blokes, from various ethnic backgrounds including my Italian friend whose parents were from the Venice region itself! Ironically the only other Greek was a Heidelberg supporter, whose claim to fame was that he and Damien Mori played on opposite flanks during their junior days at Box Hill. The weather was near perfect for such an occasion, and we eventually made our way to the outer side in the grandstand, near the scandalously understocked (in relation to beer and Canadian Dry!) canteen. This became a bugbear for my friends who couldn't understand why Bulleen didn't cater for the typically big opening round crowd against South Melbourne. I mean, this was the third year in a row and they knew what to expect! Perhaps the semi professional nature of the NPL, especially amongst the slightly lesser clubs, induces such ‘unprofessional’ situations. The game itself had the frenetic start you would expect from an opening round fixture in front of a large crowd (I am no good with picking crowd numbers but it appeared to be as big as two years ago, and bigger than last years crowd). The play was so electric that it elicited comments from my friends that “This is better than the A League”. We were so close to the action you felt like you part of the game. There is no other ground like Bulleen in that respect. South was clearly the better team, but had no finishing touch. South’s play, especially initially, was expansive; long accurate passes and plenty of speed and strength. But I remarked to a friend at the 30 minute mark that we were starting to get a bit bogged down, and soon after Bulleen scored. We didn’t start the second half in any better shape than we ended the first. Again, I made an observation, this time that Minopoulos was, as is often the case when he starts a game, not very prominent. But then soon after he was heavily involved in our equalizer, which was engineered by the player that impressed my friends more than any other on the pitch, in Andy Brennan. Whilst hoping for a sting in the tail, unlike previous years, it was not to be, and both teams had to settle with sharing two points, instead of the hoped for three points on offer. I think Bulleen will struggle this year. They were clearly the inferior team, and with the league set to be an improvement on last year (North Geeling and St Albans having been replaced by the expected to be better Northcote and Dandenong Thunder), they will probably be in a relegation dog fight. I was very impressed with Christos Intzidis. Whilst he wasn't challenged by Bulleen’s midget like forward line (have they ever had a forward even close to being six-foot tall? ), he was very comfortable to the extent I felt he indulged on the ball towards the end, when he could have easily back passed to the keeper. I have a feeling he is too good for this league. Could it be that the emigration of vocationally talented Greek’s from Greece is now including Soccer players? Whilst I didn’t think the game was that great, my friends were fully satisfied with the whole experience. They have voiced interest in other games, asking about other grounds and where they are in relation to Blackburn. I told them this ground, Bulleen’s, is the closest they will get. Which got me thinking about how things have changed for South Melbourne in this regard. In the NSL days, traffic was not as hectic as it is now. Our supporter base could travel from anywhere to watch us, and have time to spare. Traffic conditions have changed now. The constriuction of freeways has made it easy to travel to certain places in much less time. For instance, the Peninsula, but for travelling within the suburbs of Melbourne, it is a far more difficult exercise. It’s no wonder some people have found it easier to attend games at grounds of the Greek clubs that they live near, such as Oakleigh or Kingston. Whilst waiting for the Metro to be built (which will give Lakeside its own station so to speak) South Melbourne could cultivate a stronger support base from areas which can easily travel to our ground. This would require some nuanced marketing. Just a thought. To finish off, the funniest thing, other than the many attempted insults my friends directed towards number 4 of Bulleen (Hair Bear!) and the linesman (get a suntan! ), was the pre game discussion about one of my friends' utter disappointment that Bulleen offered no ‘sou-ver-LARRKI’!! Maybe he heard that this league is sometimes referred to as ‘The Souvlaki League’ and expected them to be served at every ground? Saturday night away to Dandenong Thunder who, at least according to the radio broadcast I was listening in to last Thursday, were matching Bentleigh Greens until goalkeeper Fraser MacLaren got himself sent off early with Thunder leading 1-0. Also, the time I had listed initially in my fixture list was wrong, it's not an 8:00 kickoff, it's 7:00. Was anybody else compelled by the ticket sellers at the Veneto Club to purchase an adult ticket for people who were eligible for a concession ticket? I got in with my media pass of course, but I was told by one South fan that the Bulleen ticket people refused to sell him concession passes for the two high schoolers he had with him. That's made my season, there's nothing left to do, see you all next year. During the second half one of Bulleen's defenders, who had a very boofy hairstyle, was dubbed Sideshow Bob, followed by chants for "Kill Bart" and "Die Bart, Die", which pretty much took away any anxitieis I had about the rest of the game. Until I got back on the bus to go home again, but small mercies. Hot on the heels of Matthew "Apples" Millar, last night saw the debut of "Cakes" for Kristian Konstantinidis. I'm boycotting that one as well, as well its subsidiary "Nikos (Cakes)" nickname. Those who listen to 3XY Radio Hellas' Sunday sports program have passed on the message that club chairman Nick Galatas has stepped down from the board. That's been confirmed by the club on the official website, with the official line being that Galatas wants to focus more on his AAFC duties. This South of the Border correspondent thanks Nick for his eleven years on the South board, and the occasional chats we had about various off-field issues, the highlight of which was attending court proceedings South was involved in where he was representing us or the rebel/anti-FFV NPL model clubs. Should former South player Dane Milovanovic be serving a suspension in 2018 for something that happened in 2015? matches are played in the 2016 Victorian Premier League season. sanction must not conclude until the expiry of the 12th match of the 2016 Victorian Premier League season. This was confusing to me, but I think I've got handle on it now... and I think it means that Milovanovic is allowed to play from the beginning of the 2018 season. Of course my grasp of things like this is always prone to faltering. It seems odd that a player can get around the problem of a serious suspension like this by plying their trade overseas for several years, but it could be that the suspension applied only to an Australian context, which if true, would mean that Milovanovic has served his suspension, even if he didn't really spend any time serving it at all. Another keen-eyed reader saw this in the paper - basically, the state government or Parks Victoria or whoever has backed off the idea of reducing the Albert Park golf course from 18 to 9 holes. Not that I've been able to glean much information from either government or club sources about the Albert Park Master Plan means for South Melbourne Hellas, but clearly taking a reduction in the size of the golf course off the table means there's a huge limit to what can be achieved in terms of opening up the park to different groups. Anyway, it's sad that for whatever reason the channel's owner has taken down all those videos, not just the South stuff but also the other soccer videos and assorted Australiana. Hopefully they'll reconsider their decision at some point in the future. I just wish now that I'd downloaded stuff from there; the lesson here is, as it is always, to never assume something is going to be on the internet forever. It's not everyone's favourite segment, and I'm aware that this is the part where some of you skip ahead to the end. And this section is unusually long this week, probably because I haven't got bored and disillusioned with the season yet. The big question coming out of this game seemed to be 'what game were you watching mate? ', and by 'you' they mean of course 'me'. It's only round one, so it behooves us to forgive people their sins, even if part of that forgiveness is couched in the selfish hope that they will forgive you yours. And being 'only' round one, everyone gets a bit excited about soccer being back, the weather still being warm, the size of the crowds looking good, and the hope that this season will be better than the one that came before. For Knights fans, surely this season could not be as bad or even worse than 2017? Even if someone like me, who has doubts about the positive prospects of everything, still doubts that Knights will be a force in 2018, faith in a better tomorrow is what sustains the lives of others. Oakleigh look like they've reinforced their squad with some good inclusions, and they started this game like a house on fire. They could've had two or three goals in the first ten minutes, but had to settle for one. No matter, they still had the better of the first half, but as the game evened up, their one dimensional game plan - long balls from defense into space for their wingers to run onto - got found out. You know every slur directed at Chris Taylor's ultra-pragmatic attacking tactics? People should really be directing that vitriol at Cannons' co-coaches Tsolakis and Tangalakis, whose side became aesthetically bankrupt once things tightened up a bit. To be fair, Oakleigh did suffer the unfortunate situation of being forced to make two substitutions in the first half, with both starting centre-backs having to come off. They also got themselves into trouble with some stupid challenges which saw them rack up a few yellow cards. But Knights only rarely seriously threatened in the first half, and assuming that Oakleigh would re-compose themselves for the second period, I wasn't really seeing an obvious Knights comeback. Cue then the less obvious comeback. An early second half free kick whipped in and headed home for the equaliser, and the game changed. Then as the two sides try to find the leading goal, with Oakleigh unable to implement either their long ball game or a shorter passing game through the middle, a chance presents itself to the Cannons to retake the lead. They stuff it up, the ball scoots up the other end for a like-for-like chance to Nate Foster, who puts Knights in front instead. That's soccer in a nutshell, it's why we love and hate the game in equal measure, and every other cliché you want to throw in the mix. It was like... if you're familiar with mid 90s soccer video games, where the goalkeeper AI wasn't up to scratch at the near post, Honos has fumbled a harmless floating shot into his own net. Now some have taken my remarks on Twitter on this game to imply that Knights were not the better team, and that they did not deserve to win this game. On the contrary, they did deserve to win, probably. Perhaps my reserved feelings on the quality of the game overall, or my putting the result of the game mostly onto Oakleigh's deterioration over the 90 minutes than on anything Knights did to adjust, has confused some readers. These things happen. Believe what you want: I'm going to maintain that I went out to Somers Street for a second time within 24 hours, while the rest of you can believe that I slept in the car in the car park. Georgies are playing out of Knights Stadium this year, and they were hosting the overclocked Altona Magic. Rubbish game this for a good part of the first half, Magic content to try and beat the offside trap, while Georgies were doing I'm not sure what. Magic went ahead about a half hour in, ushering in a flurry of goals and action, as Georgies levelled with a sneaky set piece, fell behind again, then equalised with a corker of a half volley from the edge of the box into the opposite top corner. All of a sudden this was a cracking game. Then Georgies imploded in spectacular fashion. A red card, conceding a goal within 30 seconds of that red card, and then another before half time, and yet another just after half time, and this game was cooked. But it was going to get much worse: another red card, and a lot more goals conceded. It finished 9-2 to Magic, in a game that went from bore-fest, to ring-a-ding-ding battle, to "stop, stop, he's already dead" over the course of 90 minutes. There was a bloke walking around the Veneto Club with a Carlton SC shirt, and only much later on (like, when I got home) did I realise it was journo Joey Lynch. And there we were saying things like, "gee that shirt would be worth some money", but also "geez, and people tell South fans to move on". Seems Bulleen is a bit of a Bogey ground for us, albeit we haven't lost there in 3 seasons. Big game against Dany on Saturday. If we win there it should set us up nicely, a draw wouldn't be a bad result but a loss may get the nerves out again like last year. Need to avoid a loss at all costs andkeep the ball rolling. Depth is an issue. I see us as a top 6 team rahter than a top 3 team at the moment. With Brays injury, if he's out for the season, can we see the return of Roganovic prehaps? 1) My friends were also quite agitated that they could not see the scoreboard (I thought in previous years it was in a higher spot) nor see a time clock. They were absolutely right. 2) When Bray went down, one of my friends made the standard complaint about Soccer players always diving. I tried to explain to him that Bray has had injury problems in the past, plus soccer players are not built for heavy contact (unlike AFL players) so at times what looks like 'simulation', is in fact a real injury. As this proved. 3) Our 'Hair Bear' was your 'Sideshow Bob'. In case you do not know, there was a cartoon in the 70's called the "Help! ... it's the Hair Bear Bunch!" You can guess we are of an older demographic. I think they're getting a new electronic scoreboard. Why didnt patrida get a mention in the writeup ? BOG by a mile. The mexican looked good in the warm up, thats about it. what happened to the the south melbourne highlights? they were quality but seem to be gone? Seem to be up now.